NIS America has posted a new trailer for The Caligula Effect: Overdose, detailing the cast of characters you'll meet in this JRPG. The world in The Caligula Effect is a sort of false paradise, where people of all ages are reliving youth in an idealized high school setting. By bonding with the various members of the Go-Home Club, the player will learn more about each character and potentially who they are in the real world. 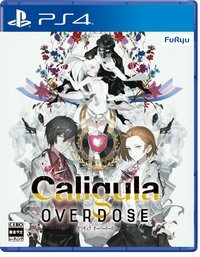 The Caligula Effect: Overdose will release in North America on March 12 and in Europe on March 15 for PlayStation 4, Nintendo Switch, and PC via Steam. For more information, you can check out the announcement post or the previously released Combat Trailer.